Where would the Islanders play their home playoff games? Discussions between the team, league and arena operator haven't happened yet. The Islanders are looking like a playoff team on the ice, but where the team will play its potential home games in the postseason remains an open question. NHL deputy commissioner Bill Daly said by email Friday that the Islanders’ postseason home will be decided after discussions between the league, the Islanders and BSE Global, which operates both of their home arenas — Barclays Center and NYCB Live’s Nassau Coliseum. “That hasn’t happened yet,” Daly said. If the Islanders do make the playoffs, it likely will occur after a strong final push at the Coliseum, as 15 of their final 18 home games are slated to be played in Uniondale. They are 4-1-1 at the Coliseum, where they have played to near-capacity crowds at the 13,900-seat arena. The Islanders are 9-6-2 in Brooklyn. 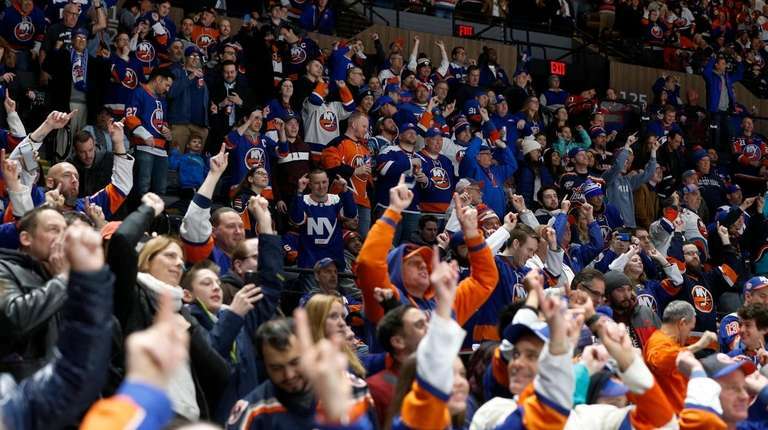 The Islanders are in the first year of a three-year deal with BSE Global in which they are effectively splitting their home games between both arenas as they await the opening of their proposed new arena at Belmont Park. The earliest that arena will open is the 2021-22 season. Islanders co-owner Jon Ledecky has said groundbreaking is targeted for May.